Most parents prefer umbrella strollers for many reasons. Keep in mind that the best umbrella strollers are usually more affordable than their full-sized counterparts. They are smaller when folded, usually just the size of a conventional umbrella, and when unfolded, still accommodate a child in relative comfort, and they are lighter in weight for ease in transporting and storing in a car’s trunk. Emphasis must be made that umbrella strollers aren’t designed for infants. Instead, these are suitable for older babies starting at 6 months, as long as they can hold their heads steady. These are also unsuitable for exercise activities (i.e. jogging - check out our Jogging Stroller Reviews instead), for heavier toddlers, and for rough ground, among other disadvantages. ​The Yoyo has a unique design that almost immediately attracts parents’ attention when it’s pointed out to them. Bear in mind that this is the 2016 version of the Yoyo+ stroller so it has a sturdier and stronger frame. A child as heavy as 40 lbs. can be accommodated in it, a convenient feature for parents. The Yoyo+ comes in two chassis colors, namely, a black and white chassis. But far from being a boring design, the stroller comes in several color choices—black, blue, red, pink, grey, and taupe—which are considered gender friendly. Since it’s an umbrella stroller, it already comes assembled and folded in its storage bag. You just have to unfold it, almost like an umbrella, and voila! You can place your baby in it after checking that everything’s in order—and checking the parts is easy, too, considering that it has few components. The rubber tires are an upgrade from the previous version. 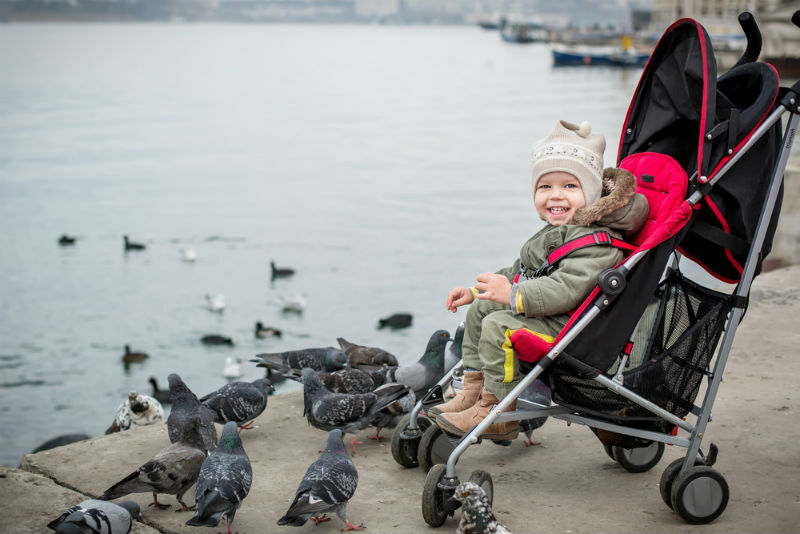 You can use the umbrella stroller on smooth surfaces, such as pavements, concrete and tile floors, but not on rougher terrain for obvious reasons. You don’t even have to worry about instability while pushing it, thanks to the 4-wheel suspension and soft-drive system, while braking is easy with a small red lever. The Yoyo+ can actually be paired with a car seat, which other umbrella strollers cannot be. You have the car seat adaptor for such a purpose, aside from the ease of attaching a car seat via the clips at the side. The handlebar isn’t adjustable so it can be an issue for parents of significantly different heights. But its curved shape makes up for it, in a way, since it can be held lower. Is this the best umbrella stroller for you? The Yoyo+ is an excellent umbrella stroller, thanks to its ready-to-use design, improved maneuverability, and larger storage basket. 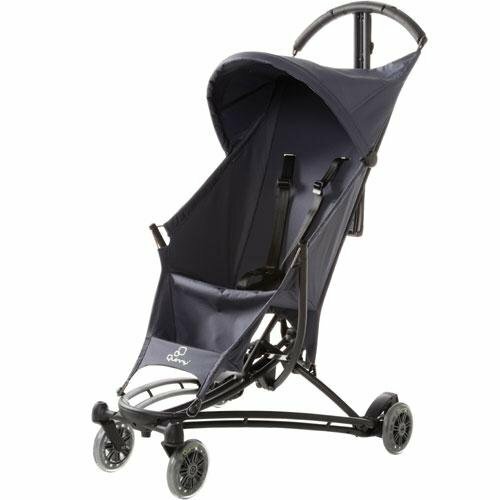 ​Umbrella strollers are lightweight, yet still provide the convenience features parents need, such as a storage basket, safety harness and canopy. The Quinny umbrella stroller is one such product. Looking for an award winning umbrella stroller? Look no further! Red Dot ‘Best of the Best’ Award - the award highlighted the Quinny Yezz's clever design and use of materials, flexibility and compact size. This is suitable for use by children starting at 6 months until they are 40 lbs. in weight. Since this is an umbrella stroller, it can fit an average-sized child. The Quinny is so light with a weight of just 5 kilos, which an adult can easily carry for short distances. But even when it’s as light as a feather, so to speak, it has a strong and sturdy frame because of its high-performance plastic parts. The seat itself is to clean, thanks to its water- and dirt-repellant fabric; just wipe off any food or beverage spill with either a dry or damp cloth as soon as possible. Even stubborn stains can be removed since the entire stroller can be washed and cleaned, as is. The entire stroller can be folded and unfolded in a matter of seconds because of its 3D folding system; you can even do so with just one hand, a convenience when you have many other things in your hands. The assembly can be a bit of a challenge with the small straps but once it’s assembled, the stroller works like a dream. The canopy is also shorter, which can be inconvenient during the summer. The Quinny is a great umbrella stroller because of its lightweight yet sturdy and stable properties. 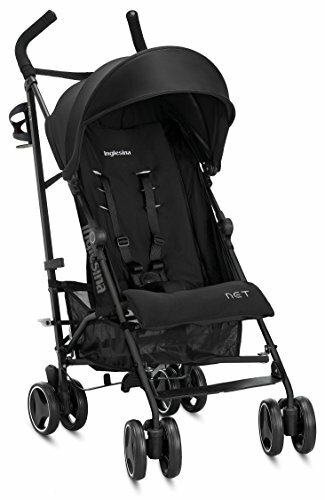 ​The Inglesina brand is known for the quality of its products, including its Net umbrella stroller. 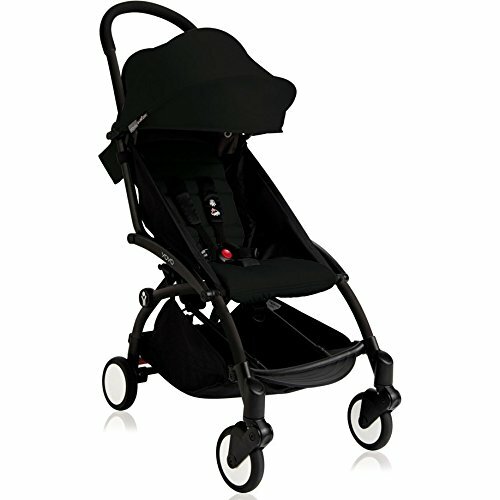 The Net weighs around 5 kg., so it’s a great stroller for traveling both short and long distances. Despite its light weight, it can accommodate the weight of a 40-lb. child. This a self-standing umbrella stroller because of its center stand. You will find that it has several benefits, such as no part of the stroller in direct contact with your child will ever touch the ground. You also don’t have to bend, a small mercy for your back. The Net is also quick and easy to fold and unfold, even with a single hand. When it’s folded, you can even carry it on your shoulder or in your hand, thanks to the sturdy shoulder strap; your shoulder shouldn’t get too tired because of its light weight. The seat cover’s base is a mesh material for better air circulation to your baby’s rear, while the seat itself is removable and washable. You don’t want a dirty seat making direct contact with your baby, after all, so be sure to regularly wash it. You will find the wide seat providing ample room for your child to wiggle a bit, while its 2-position recline add to his comfort. The Net is too small for children who are larger than average. The canopy is also a bit short although it’s ultraviolet protection factor (UPF) is a great feature. The Net is a great alternative to the bulky strollers that can make traveling with a child in tow less enjoyable. It’s lightweight, easy to use and carry, and easy to clean. The best umbrella stroller should be easy to fold and unfold, easy to maneuver on smooth surfaces, and easy to clean. Such ease of use makes it more attractive to parents, especially those who are on the go or travel a lot with their young one. Robert is a father of a young daughter and has developed an expertise in child car seat safety. He is a keen supporter of the use of child safety systems having seen his daughter come away from a side impact collision unscathed due to the use of a child car seat. When he's not spending time reviewing child safety systems he works as a Technical Manager on major construction projects.